My favorite days of remote working aren’t the days when I get to work by a pool, or even when I get to stay home all day working on my couch in my favorite sweatpants (as a really strong introvert, that’s saying a whole lot there). My absolute favorite days are when I’m on a meetup and I get to see my coworkers in person, these amazing people here. For most people, getting to see their coworkers is something that is super common and not really anything special, they see their coworkers 5xs a week… but I see mine twice a year. Since I work at a remote company, Automattic, that means that all of my coworkers live literally all around the world, from different countries, all kinds of backgrounds, and time-zones. We work side by side (virtually) on a daily basis. We accomplish so much together and I have a blast working alongside them. We chat all day via Slack, help each other troubleshoot, fix problems together, tell each other jokes, and share GIFs (one of my fav parts). The best part of my job is when I see these people, in person. Last month, I got to do exactly that on my team meetup. 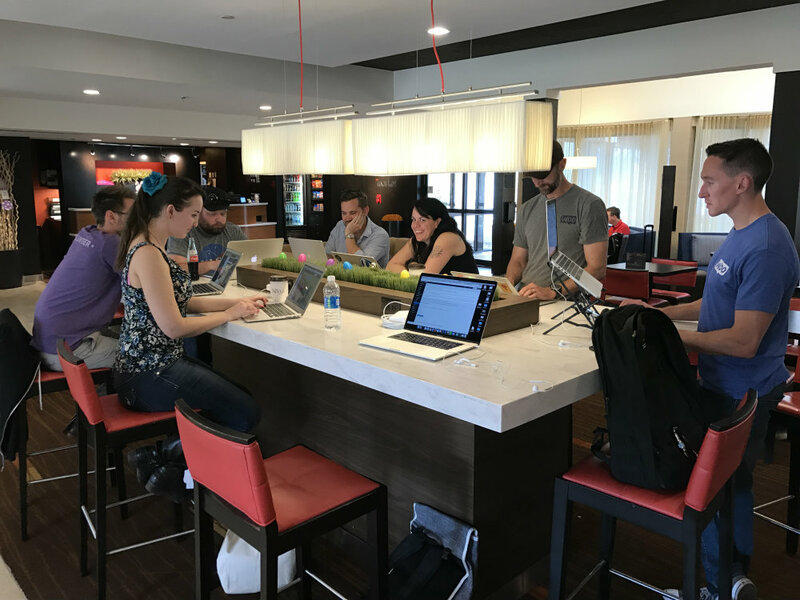 What is a remote team meetup? 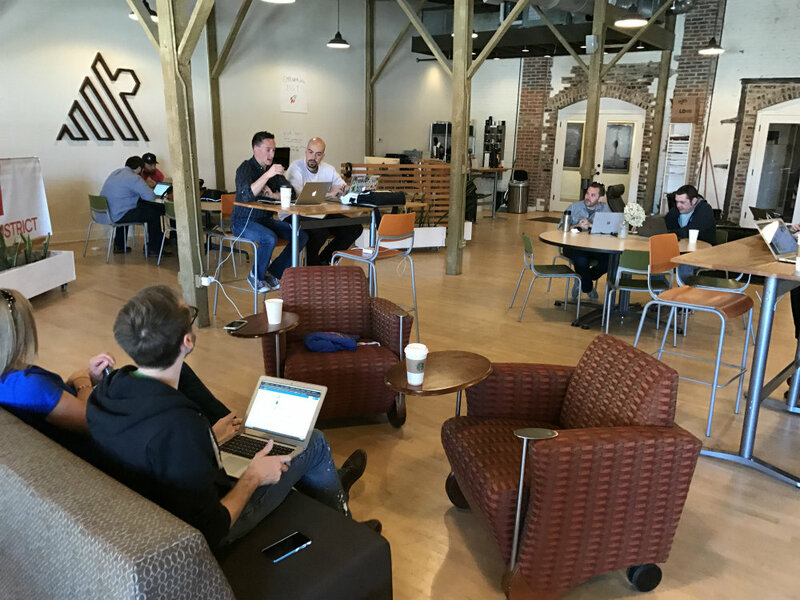 A meetup is when employees are flown to one location to work together in person for a week. The company I work for, Automattic has at least 2 meetups a year. One is the Grand Meetup and the other is a Team Meetup. What’s the difference between the Grand Meetup and a Team meet up? Previously I wrote about my experience at Automattic’s Grand Meetup here. The Grand Meetup includes all employees of Automattic (around 550+ people). 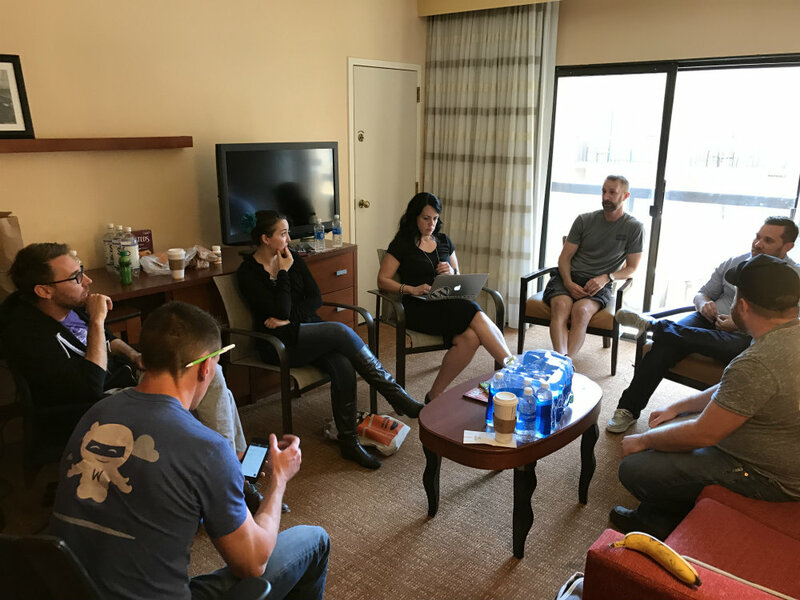 The team meetup is a lot smaller, with only just the immediate members of your team, sometimes with a special guest (someone from another team). 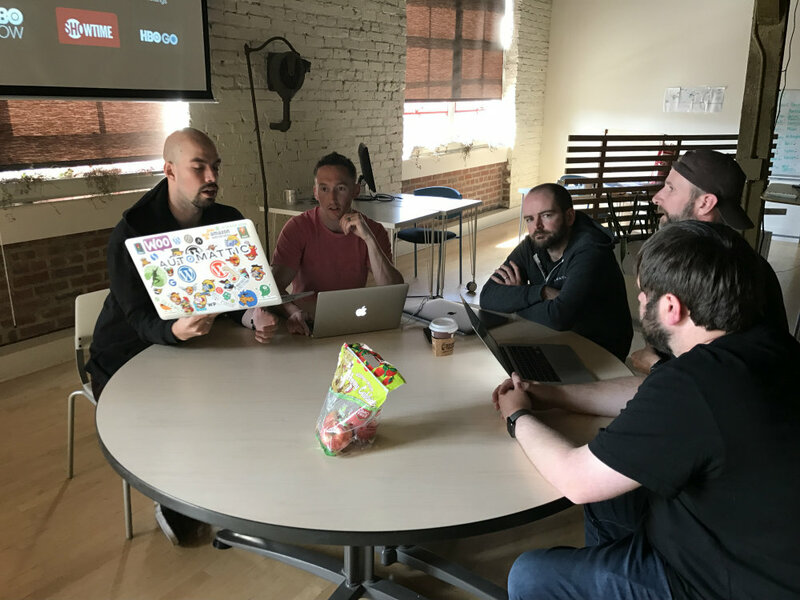 The team meetup’s goal is to complete a project. Really the best part of a team meetup is getting to spend a week focusing on building closer bonds with the people you work closely with on a day to day basis. For that reason, the team meetups are my personal favorite. 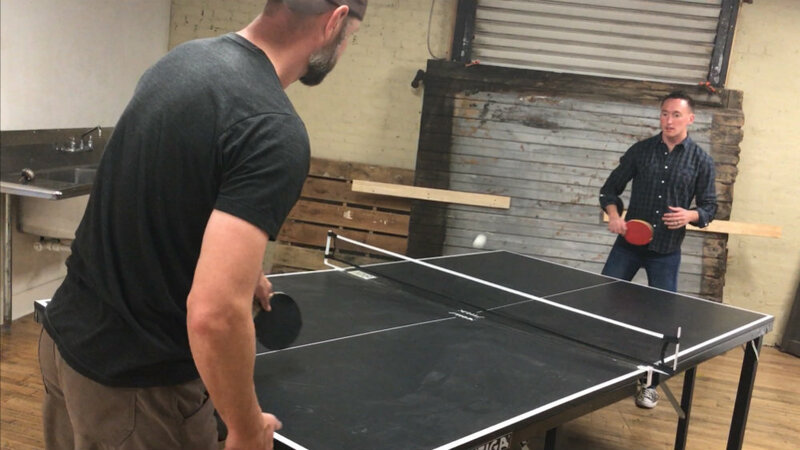 What is an Automattic team meetup like? There is nothing quite like getting on an airplane on your way to a location, knowing that all your coworkers are headed there as well. I always get super excited, but also strangely nervous. As soon as I see my teammates, it’s warm big hugs all around. We are all SO genuinely excited to see each other. My team is called Sparta. There are 8 people in our team, including our team lead. All of our focus is on offering support to WordPress.com users. I completely adore my teammates. I really could rave for hours about every single one of them. So to keep this short, I’ll just say that they’re fascinating people, with a quick wit, easy smiles, diverse backgrounds, and always so kind. They’re some of the smartest and hardest working people I know and I LOVE working with them. Each of us is so different and have our own strengths, so it’s always amazing to watch us bring those strengths together and work in harmony. It’s such a weird sensation to be working around the same table as my 7 teammates. We’re hard at work in our hotel lobby, which is just outside of Nashville, Tennessee. All 8 of us staring intently at our laptops in front of us, hard at work on a project that’s going to help hundreds, if not thousands of users who use WordPress.com. Sometimes I find myself in disbelief that I’m here, with them in person so I tend to look up a lot and try to take all of this in. It’s funny how even though we’re all working at the same table, we still default to online communication, still chatting in Slack. The only difference is that we glance up from our computers to laugh at the jokes and the GIFs we share, when usually we need to react with emojis. When people ask where we’re from, and really the only simple answer is “everywhere.” It really is true, we’re actually not even that location-diverse compared to other Automattic teams. My team is a “timezone based team” which means that most of us live in the western half of North America. We live in Canada, Colorado, Arizona, Las Vegas, Missouri, San Francisco area, and me in the Southern California/LA area. We’re roughly all around the same timezones, so we’re usually all online at the same time. I consider us a pretty close knit team. My team, in particular, spends as much time together as possible. I’m not a morning person, but I found myself waking up early and staying up way later than usual because I was excited about getting to see my teammates and work with them all afternoon. I know each of my teammates pretty well. I know all about their families, their goals, even their strengths from working side by side with them on a daily basis. Yet working at the same table as them, is completely fascinating because I get to learn so much more about them. The time you spend face to face is even more meaningful and an irreplaceable part of remote work. The best way to describe it is that you get to see what happens on the other side of the screen. I get to see first hand their work habits and how they troubleshoot issues. When they’re stumped by a question, some frown at their computer, while another teammate goes for a quick walk to clear their head. Some need complete silence when they work, others need to put in their headphones and listen to music. It’s amusing to me that we’ve worked together on a daily basis for months, and I’m still learning about them. All of those little details give me so much context for each team member. To the point that now when I’m home and we’re chatting via Slack (which is like an instant messenger) I feel like I can hear their voices because now I have more context on the person on the other side of the screen. I know what makes them laugh. I see how they react when they’re frustrated by a problem, I just know them. That’s part of the reason why meetups are so important in remote work. While you learn a lot from someone just from virtual daily interactions, you learn so much more in person. It’s a big bonding factor to spend a whole week together. We have several goals for this meetup. The main one is to complete a big project. We decided to make our project a website that’ll walk people through how to transfer to WordPress.com from another provider. It was a tough and eye-opening experience to create a test site on another platform and then try to figure out how to move that over. It’s crazy to me how other platforms really don’t allow for you to move your content easily. So it was great working on this in-person together, when one of us would get stumped- someone else would come up with another idea or way past the hurdle. My team did something a bit different and we overlapped our meetup with another team’s meetup. The other team focuses on Jetpack support (Jetpack is another product that Automattic owns), whereas my team focuses on WordPress.com support. 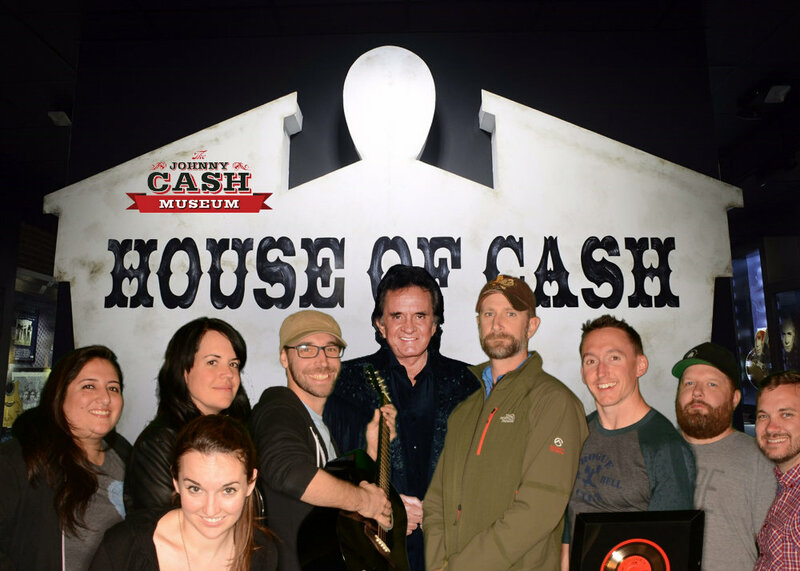 The other team arrived on our 4th day in Nashville and they stayed for a few more days after we left. We used this in-person time to cross-train each other. It was also really cool getting to build a closer bond with another team. The cross-training we did has already come in handy in my day-to-day job now that I’m back home. While a meetup requires a lot of hard work, it isn’t all work. 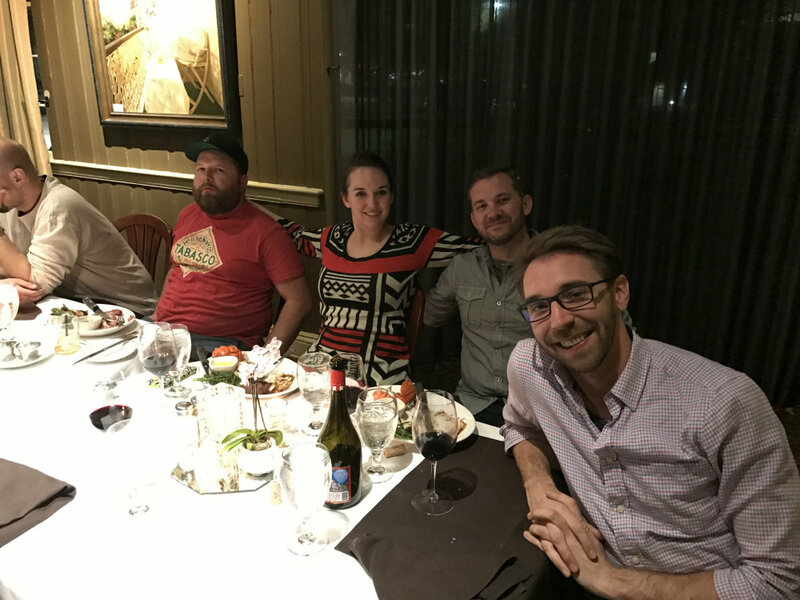 We had some amazing food and some great laughs! Usually by the end of the week, while I’m ready to go home I’m pretty bummed about leaving my teammates as well. The hardest part for me is saying Goodbye. A small part of me wishes that we weren’t a remote company and that we didn’t all live so far away. But if that were true, then we wouldn’t be Automattic and I wouldn’t be working with some of the best in the world at what they do. So until we meet up again, it’s back to Slack, P2s, emojis, and GIFs. I’m really thankful to Automattic and to my teammates. I always walk away from a meetup having learned some incredible things. Video Calls in Remote Work: Does hiding your own video make you more effective? Tish, this was *so* sweet. Thank you so much for sharing!